Welcome to the Department of Economics, Management, Sciences and Accounting (FGES), one of the most dynamic and expanding faculties within Université Catholique de Lille. 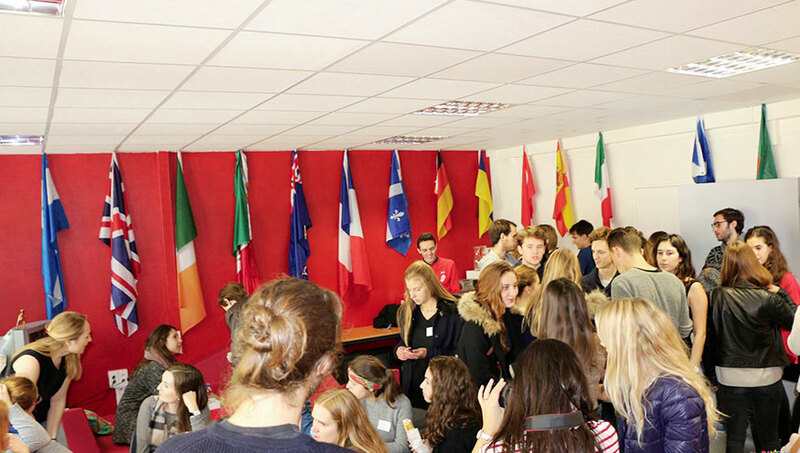 It is a perfect opportunity for you not only to master your skills in the French language but also to develop intercultural communication skills from meeting new friends from all over the world, exploring a new, vibrant culture and experiencing a different academic system. The Department of Economics, Management, Sciences and Accounting, which was established more than 50 years ago, has 350 professors who provide invaluable guidance to more than 1300 students to become successful in their chosen careers and to be able to fully participate in the development of the business world. Every year Université Catholique de Lille opens its doors to more than 400 students from every country, ethnic and cultural group in the world. We hope that the international exchange student programme that we offer at FGES will be a new and awe-inspiring experience that will motivate and drive you to face every challenge along your career path. We know that being exposed to this exciting new environment might seem challenging, so we hope that our website will give you a better insight into everything that you may wish to know regarding your daily life on campus. Pour une inscription en 1ère année, demander avant janvier un dossier de poursuite d’études en France auprès du Consulat de France de votre pays.